Dušan Borković claimed pole position in the morning’s Qualifying; at the wheel of his Target Competition Hyundai i30 N he was the first and only driver to break the 2:14 barrier, setting a fastest lap of 2:13.781 that gave him the pole position and was half-a-second faster than Mikel Azcona’s 2:14.225. The young Spaniard prevented Dániel Nagy from making an-all Hyundai front row on the grid for Race 1. 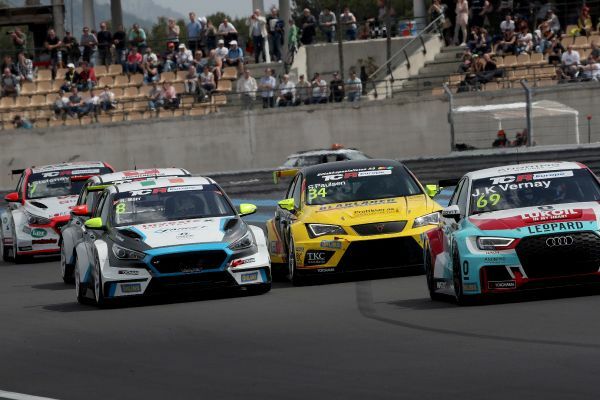 Stian Paulsen qualified his Cupra in fourth position, relegating Josh Files and Reece Barr to the third row, while Jean-Karl Vernay placed his Audi in seventh. Jens Reno Møller (Honda) and Francisco Mora (Hyundai) will fill the front row on the top-ten reverse grid for tomorrow’s Race 2. After setting the fastest lap in Q1, Igor Stefanovski was not able to repeat his performance in Q2 and qualified 11th after his fastest lap was disallowed. The most disappointed drivers were Attila Tassi – who failed to advance to Q2 as he also had his fastest lap disallowed – and Stefano Comini who is struggling with his Subaru’s technical issues. Borković said: “I first sat in the car yesterday and I had an interesting feeling, because I know the Hyundai is good and is different to cars I have driven before. It seems the car is perfect for my driving style, because I had to completely change my style last year for the Alfa.